Millipedes and centipedes…you probably know them as those insects with all the legs. What are the real differences between centipedes and millipedes? Do you know? Before we get to the differences, let’s note a few similarities. 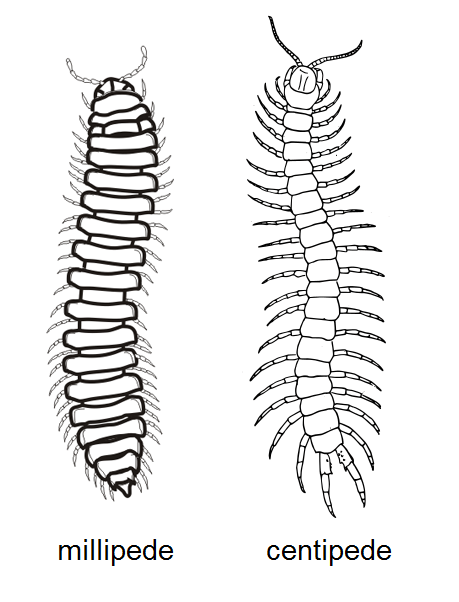 Both centipedes and millipedes are considered arthropods. In other words, they are invertebrates that have an exoskeleton and a segmented body. They are related to scorpions, crabs, lobsters, and shrimp. Both of these creatures also extend their body segments by molting. So, if you see something with lots of legs crawling around, how do know which one it is?